I share with you today three photographs taken by John M. Webb in Columbiana, Ohio. 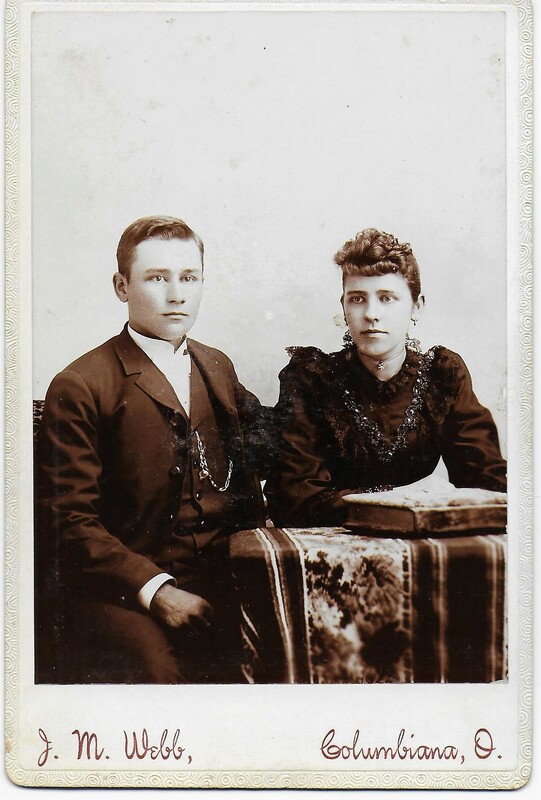 John was born in 1850 in Ohio, and at the age of 41 married Dora Ink. The couple had three children, two who lived to adulthood, Gladys and Lemuel. 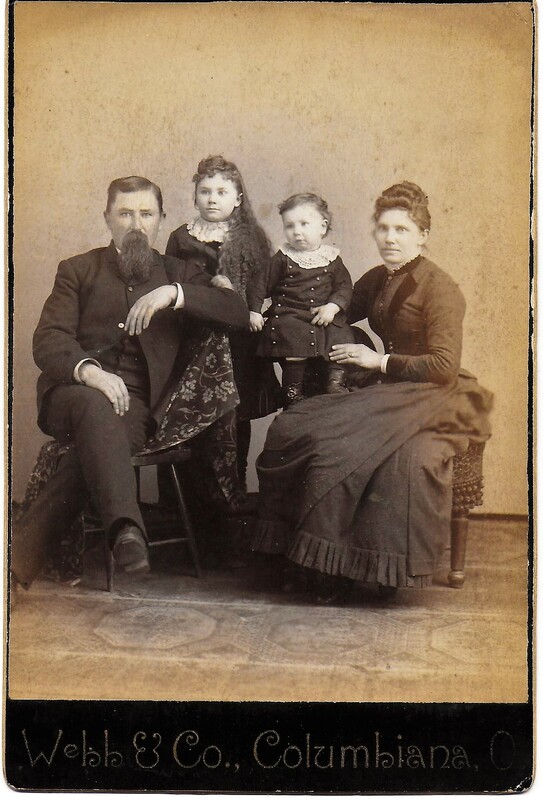 This family photograph was taken in the mid 1880’s, due to the style of the woman’s dress – and the black background on the card. Sweet little children. How lovely! The dress is made from a beautiful material – possibly satin? 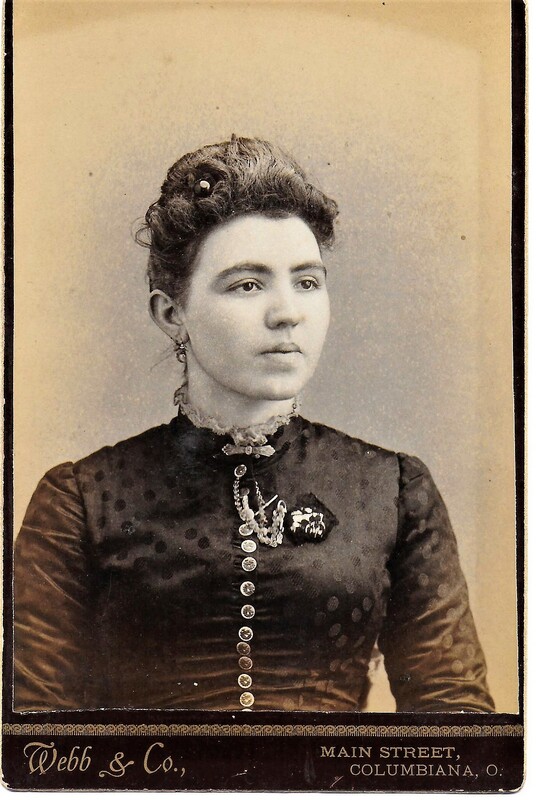 This photo was taken in 1890 due to the color of the card, and the gold filigree line just under the photograph. 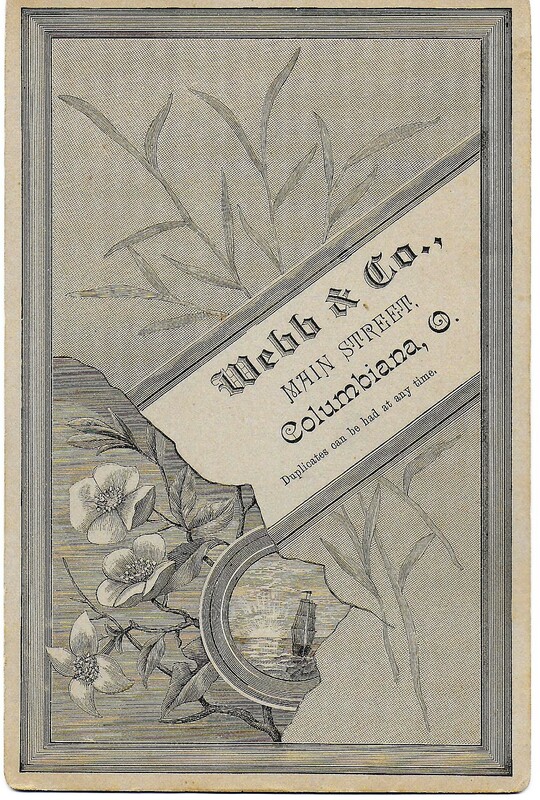 The back of the card, which sports a full imprint and design with the photographers name, is also indicative of 1890. The other two photos have no imprint or design on back. This photo can be dated to the early 1890’s. The woman’s sleeves are just starting to have the puffy effect that at the end of the decade would transform into the huge leg o’ mutton sleeves. Also, embossing around the edge of the card points us to this date.